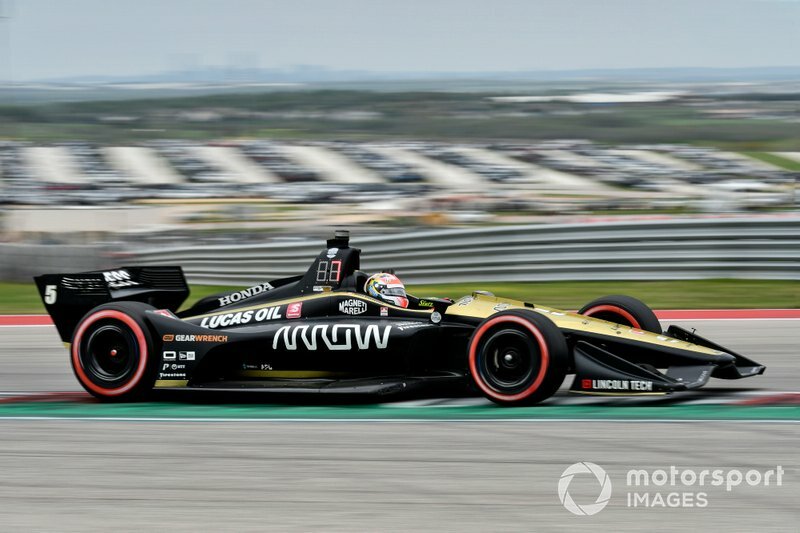 No one in racing needs to be reminded of the saying, “When it rains it pours”, but Arrow Schmidt Peterson Motorsports found an aggravating twist on that expression in last weekend’s IndyCar race at the magnificent 3.41-mile permanent road course, the Circuit of The Americas [COTA] in Austin, TX. It was a case of raining, pouring, sunshine, warmth… and then more chilly precipitation. Several occurrences worked against the team through practice and qualifying, but a very smart and unique race strategy seemed destined to deliver some salvation before the prospect tantalizingly slipped away. Still, before that, there were a couple of major positives to be taken from the race weekend for Arrow SPM. An inconclusive opening practice session, where all the teams lost a huge chunk of track time due to a rival car blowing an engine and spewing oil onto the track, put several squads on the back foot ahead of second free practice. FP2 is when the IndyCar teams get a chance to try Firestone’s red sidewalled softer compound alternate tires, the same rubber they’ll use in Saturday afternoon qualifying, and there was plenty of work to be done in Arrow SPM’s case. James Hinchcliffe's Arrow Schmidt Peterson Motorsports-Honda on the red-sidewalled alternate compound Firestones. 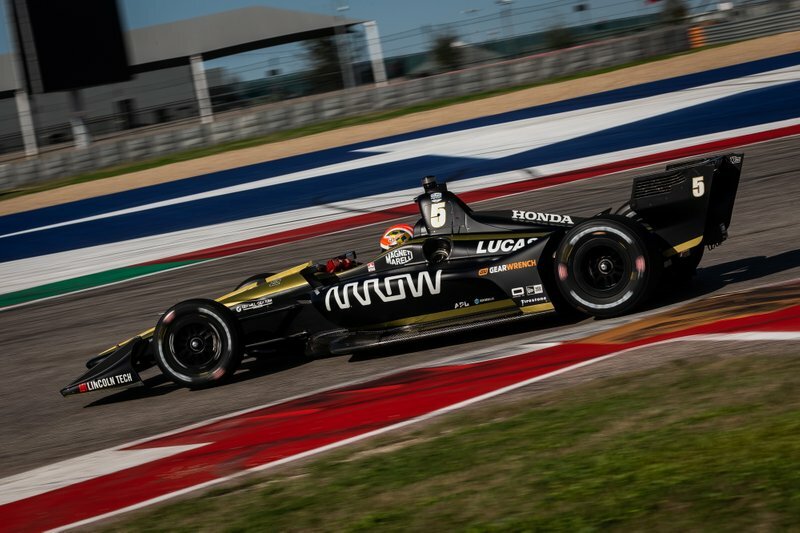 Series veteran James Hinchcliffe was frustrated by how much the temperature difference between the COTA test in early February and the warmer conditions at the same venue six weeks later required a rethink on car setups. 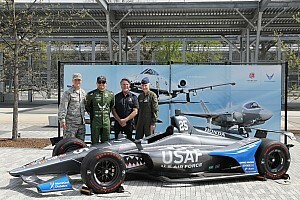 Teammate and IndyCar rookie Marcus Ericsson noted that his car handled very well on heavy fuel loads, boding well for a strong raceday performance, but he was still seeking a strong package for a one-lap flyer, necessary for a prominent grid slot. Saturday proved a bust for many, but it was especially difficult for Arrow SPM. In the morning, during third practice, Marcus was pushing the limits as any racecar driver is wont to do – when his car snaked viciously on the exit of Turn 19 and crashed into the tire barrier on the corner exit. It was the sort of incident that can and does happen to racing teams on a regular basis, and it’s then that the engineers and mechanics truly earn their wages. By the time qualifying started four hours later, there were two gorgeous black-and-gold Arrow SPM-Hondas sitting on pit road. 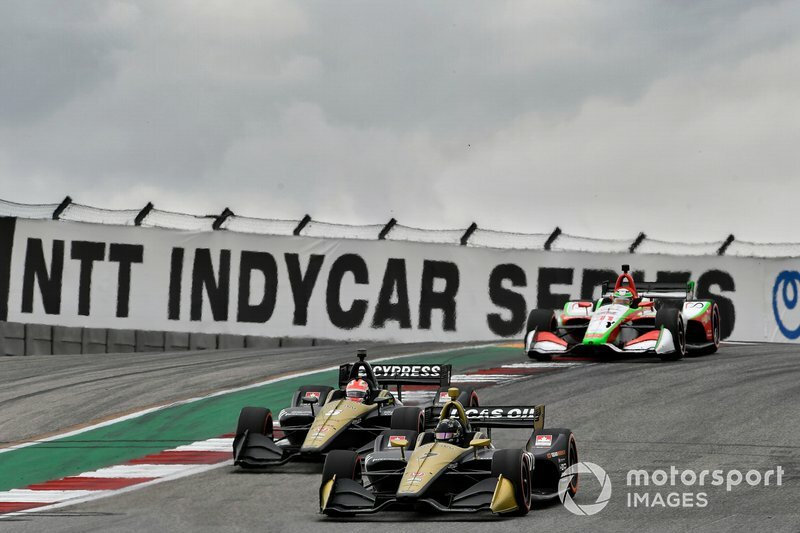 Unfortunately, however, neither Hinchcliffe nor Ericsson got to show their ultimate potential in Q1, when two groups of 12 cars are narrowed down to six graduates from each to proceed to the 12-car Q2 session, the top half of whom end qualifying with the Firestone Fast Six shootout. 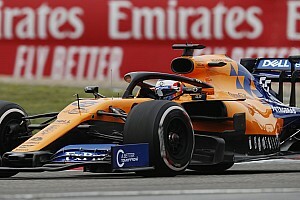 Both groups in Q1 had their sessions abbreviated by spinning cars which halted the action while the stricken cars were moved out of potential danger zones. James and Marcus, interrupted while trying to get a second lap from their alternate tires, could therefore not progress into Q2 and instead were consigned to the eighth row of the grid, 15th and 16th out of 24 starters. In those situations, drivers, strategists, race engineers and data acquisition engineers get their heads together on Saturday evening and Sunday morning to come up with the best possible recovery plan for the race. In fact, the Arrow SPM brain trust came up with two initial strategies, thereby doubling their chances of making lemonade out of the lemons that Fate had delivered. 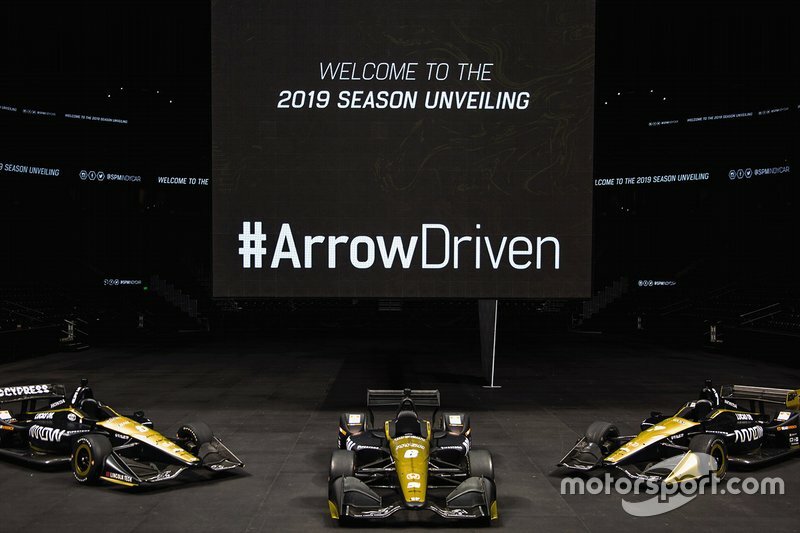 Marcus Ericsson and James Hinchcliffe, Arrow Schmidt Peterson Motorsports Hondas. 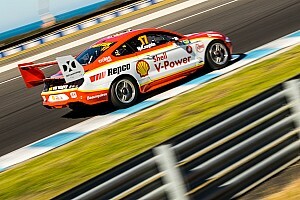 Managing director Taylor Kiel explained to Motorsport.com, “We started Marcus on used black tires [primaries], James on used reds [alternates], and that was to make sure they don’t race on top of each other. But as well as coming into the race with a plan, you have to keep your mind open to making possible changes according to the circumstances you find yourself in or observations you’re making from the pit wall as the race unfolds. “So when we saw from the different tire degradation numbers and the lap times what guys were doing on the black tires vs. red tires, we realized it would be advantageous for us to pit very early. That meant both cars pitting about the same time Marcus [up to 14th] on Lap 6, James [up to 12th] on Lap 7. We were able to put new reds on both our cars and get them into clean air which really helped us gain a lot of track position, so that when the others pitted, we kept moving forward. I was really happy with the strategy because we were running sixth and seventh at that point. Ericsson’s final pitstop had also cost him, big time. 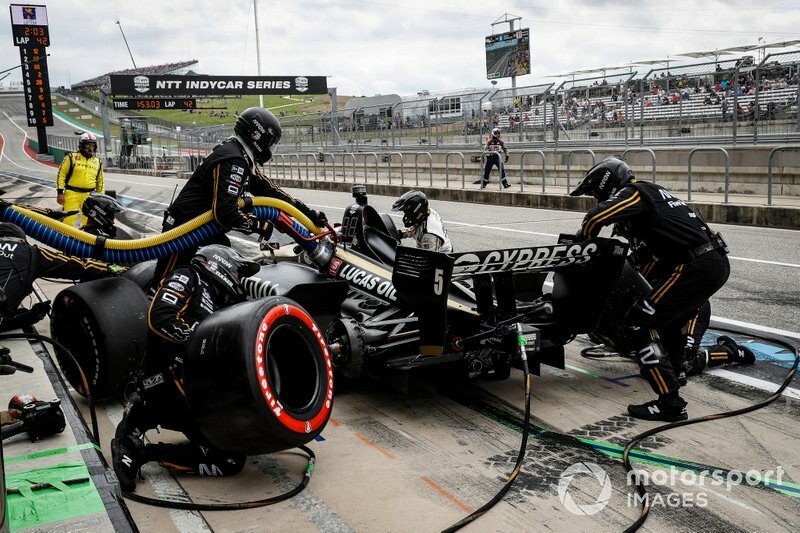 After taking on his new alternate Firestones, he was given the signal to leave his pitbox just as the car whose ’box was in front of the #7 Arrow SPM team was turning in for its stop. 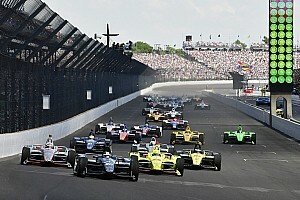 The right front wing of Ericsson made contact with the sidepod of the rival car, and while the Swede emerged from the pits in fifth place, IndyCar punished Arrow SPM for an unsafe release by sending the #7 to the back of the line for the restart. Ericsson worked hard over the remaining 10 laps to climb from 19th to 15th by getting around Hinchcliffe on the very last lap. “Marcus drove a hell of a race,” said Kiel afterward. “Certainly he didn’t look like a rookie, even though we’d asked him to do a lot, like save fuel and preserve tires, things that you can rely on a veteran to do but which aren’t necessarily going to come easy to a guy in only his second race here. Pit stop for James Hinchcliffe's Arrow SPM-Honda. Ericsson concurred with Kiel’s verdict – gutted by the result, ebullient about the performance. “Like in St. Pete, we were flying out there,” he commented. “We were making all the right moves strategy-wise and driving-wise. I think we were the fastest car for much of the race, moving up through the field. Everything was going according to plan. "It was very unfortunate on the last pit stop that we had traffic on pit lane and had an issue, because at the restart, being P5 with good tires, I think a podium was on the cards with the pace that we had. Even fifth, where we were running, would’ve been an amazing result considering where we started the race. 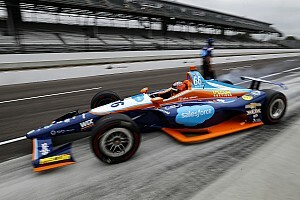 At the top of the more regular list of priorities, however, will be to find better one-lap pace, although Kiel says that without the red flags in qualifying, he believes Hinchcliffe would have gotten through to Q2 and competed for a spot in the Firestone Fast Six. “Yeah, those cautions in qualifying disguised the speed we found over the course of the weekend,” he mused. “It’s a pity we didn’t have a chance to really gauge and verify that. But still, the main task for the team as a whole is to find more consistent one-lap pace so we’re there, ready to go from the start of practice on any race weekend, and just need minor adjustments to refine the car according to track or ambient conditions. 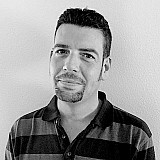 The sessions are so short that you can’t afford to be totally rethinking things.